When I was a little girl, I remember going to see "The Nutcracker" and thinking it was magical. Since that first time, I have seen the ballet several more times and each time, it still delights me to no end. If you have a little one in your life, I highly suggest taking them to see "The Nutcracker" as it is family friendly and the music will most likely be familiar. The Moscow Ballet's production will be touring all over the United States and I am happy to announce that my readers can save on tickets with this exclusive offer from US Family Guide http://usfamilycoupons.com/coupon.php?regionid=75&bid=12165&dealid=2024 . 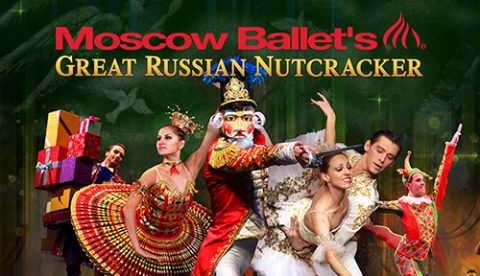 For a full schedule of event dates, venues, and times, please visit http://www.nutcracker.com/buy-tickets. I so want to go to this!